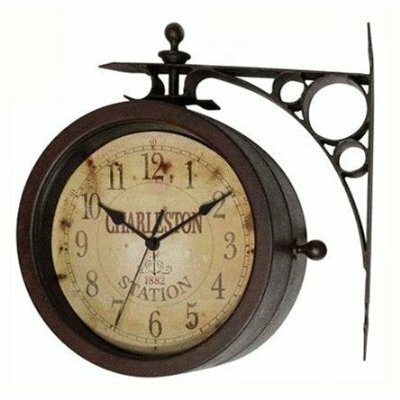 Charleston Two Sided Clock/Thermometer-Rust Finish-Indoor/Outdoor, by Infinity Instruments: Dimensions: 11.00 in. L x 11 in. H x 8 in. diameter.